The plain Hamburger 2.85 truck is now redecorated and has a real name! It’s called WakWak Burger. It’s still in the same spot on Granville and Pender. In addition to the new name, they also offer a new burger, the Menchi Katsu Burger. It looked a lot more exciting than a regular hamburger! Since I was the only person there, they made my burger really fast. 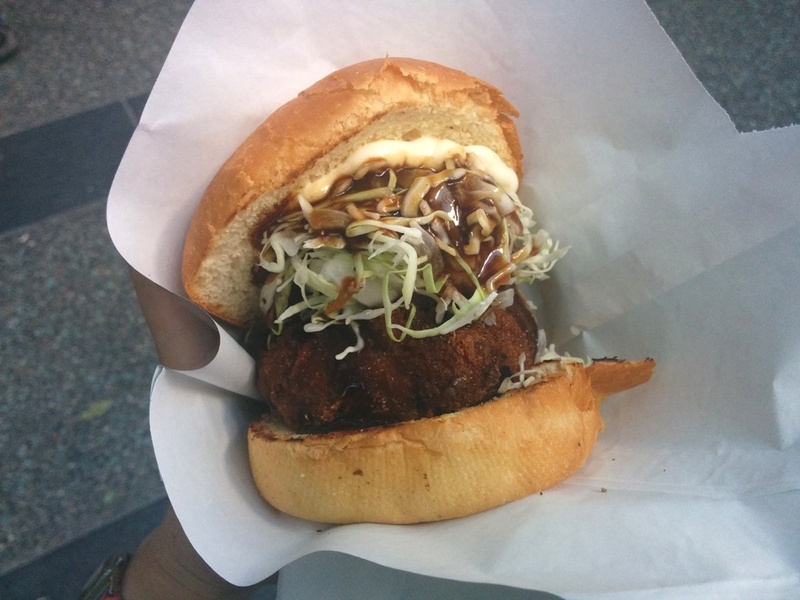 The bun is soft and toasted and inside the burger is some shredded lettuce, mayo and ponzu sauce. The beef patty is deep fried with a crispy panko crust on the outside while maintaining a soft and somewhat crumbly texture inside. The sauce made this taste delicious! However, please note this is $4.75 and not $2.85. It’s still a good deal though for a burger! I believe they are also introducing a new Kobe beef burger sometime soon. 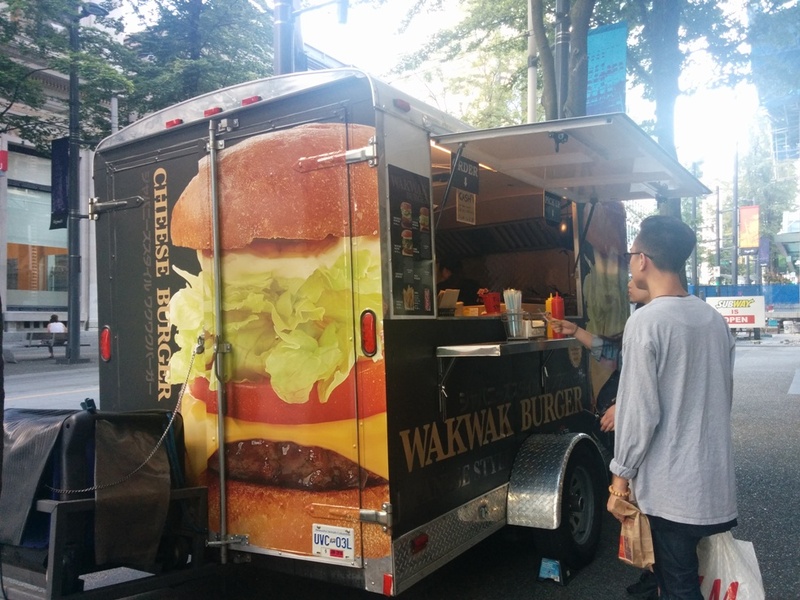 This entry was posted in Food Trucks and tagged burger, food truck.